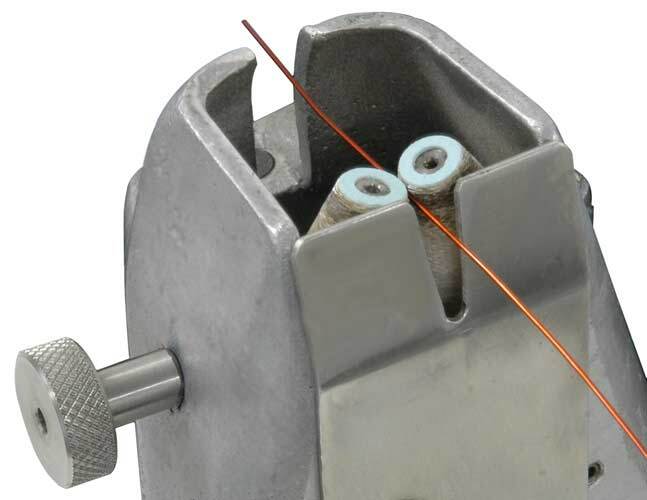 Enamel Wire strippers - Stone wheels version - Ingrid West Machinery Ltd - Coil Winding Solutions you can rely on. A fast and inexpensive method of wire stripping. Machine to automatically strip enamel insulation coatings and laquers from copper winding wire and magnet wire. 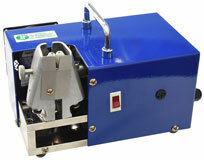 This wire stripping machine uses a pair of rotating abrasive wheels to remove the coating. The machine is provided with a fine adjustment mechanism, and is ideal for stripping small sized round wires.